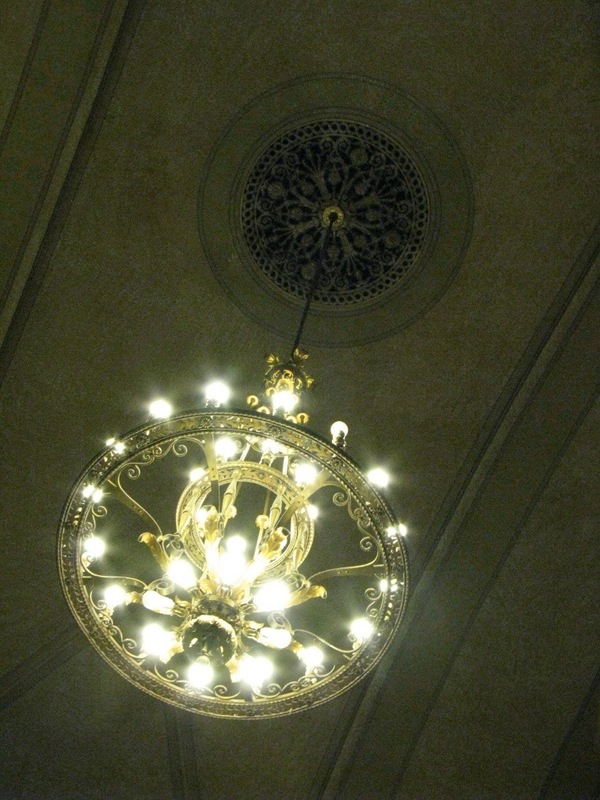 Here’s a different look at one of the chandeliers at Sacramento Valley Station. I was waiting for a late train returning home Dec. 30, so I set my sights on a different part of the station. I wondered what people may have thought while I was constantly pointing my camera at the ceiling, trying to get a good shot. This entry was posted in Travels, World at large and tagged Sacramento, station, train, travel by RTOlson. Bookmark the permalink.